A bright idea for birthdays, a cheerful choice for get well, or a happy thought for any occasion, this creative bouquet really does work magic. 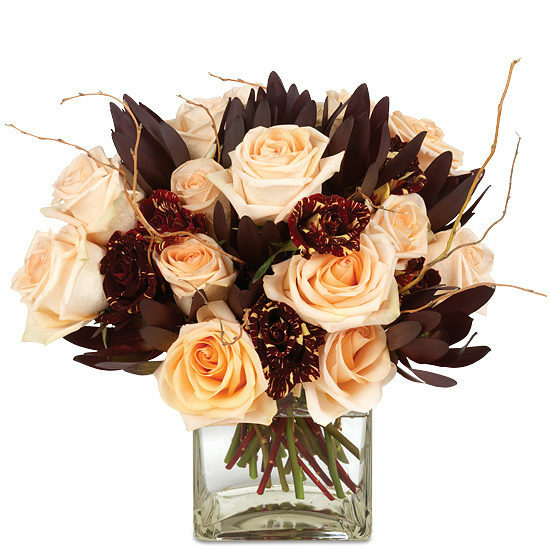 It brightens eyes with its pristine peach Tiffany roses. 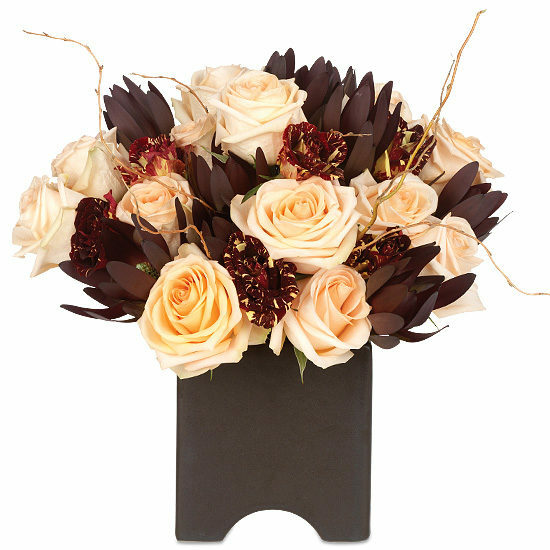 It makes smiles appear with its brown speckled Abracadabra roses. 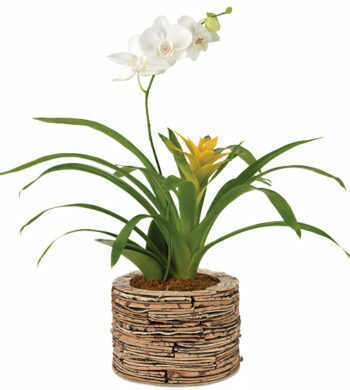 And it lightens moods with its playful Safari Sunset leucadendron and sprigs of curly willow. To top it all off, we chose the perfect vase for this beautiful bag of tricks – our chocolate brown, square ceramic vase with pedestal base. Ta da!